It’s not uncommon to hear about products being created these days due to someone’s creativity around a health issue, an injury, or just a hole in the market. Such is the case with Kelley McDonell at Green Grips. After experiencing irritation from standard rubber bike grips, Kelley began searching for a solution only to find that there wasn’t much on the market. What transpired was the creation of a 100% eco-friendly cotton bar tape that is biodegradable and made with non-toxic dyed colors. Here at Cyclocross Magazine we are always looking for new products that might provide the ‘cross rider with a bigger, better, faster or cooler way to go. So, with that in mind, we gave the Green Grip sample a try. Since my Specialized S-Works is white, black and red, I figured that the red accents on the bar would provide a cool look. I busted out the red tape the crew at Green Grips had sent over and got ready to wrap the bars. Like any good gearhead, the first thing I did was to weigh the tape and end plugs to see how they matched up to regular bar tape. Since I would be racing ‘cross, I decided to double-wrap the bars. So weighed 4 roles of tape plus the end plugs. To my surprise the weight of four rolls of Green Grips was exactly that same as my standard FSA bar tape: 55 grams. The next item of business was to add some water to the equation. With the Green Grips product being cotton, I assumed that it might take on and hold water. I sprayed it down, wrung it out a bit, and put it back on the scale. As I thought- the tape took on about 20 grams of water weight. Certainly not enough to cause you to worry about carrying extra weight around all day but a factor for someone like myself who rides/races in the Northwest. After the water testing it was time to wrap the bars and see how the product would wrap and feel. Like normal bar tape, the Green Grips tape has the thin line of adhesive down the middle on the backside so that the tape sticks nicely, but not too much when wrapping. Since the cotton doesn’t stretch much like other tapes when pulled, it was hard to get the tight wrap of normal tape. As I pulled on the tape, the exposed end tended to roll up a bit and I began to wonder how this would effect the feel once it was fully wrapped. The other wrap issue to note was that the tape seemed to bunch up around the hoods. 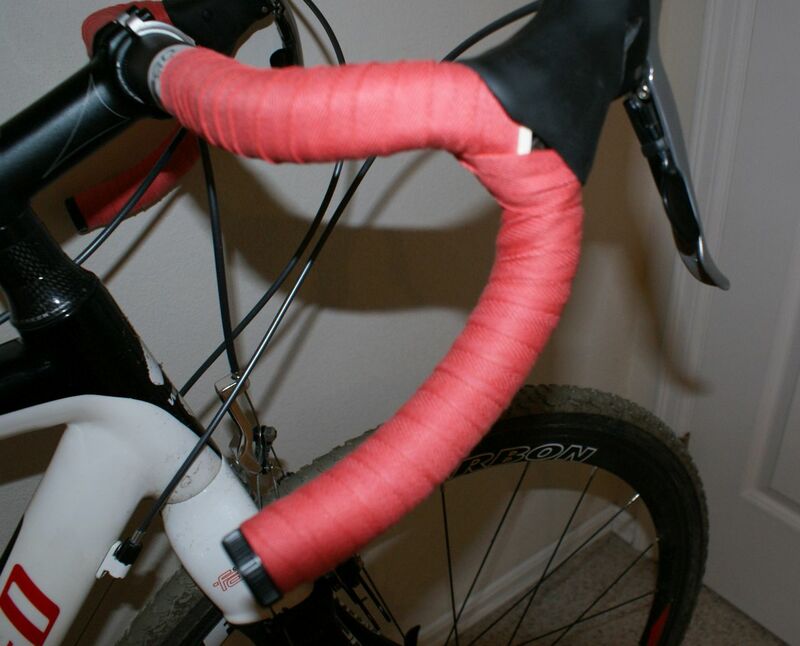 Normal bar tape is a bit stiffer laterally and has an easier time going around the hoods uniformly. Not a major issue, just something to note when using the product. Once I’d nicely wrapped the bars, I plugged the ends with some very cool bottle-top-like end plugs. The cork plugs fit snugly into the ends and after several races and rides haven’t come loose or fallen out. The feel of the Green Grips tape on the bars with gloves on is very nice. The grip is good, there is very little slipping – even when wet – and the minor rolling up of the exposed tape ends wasn’t noticeable at all. When I rode with bare hands the feel was very different from traditional tape: certainly not as smooth as you would expect, but it was a comfortable feel. 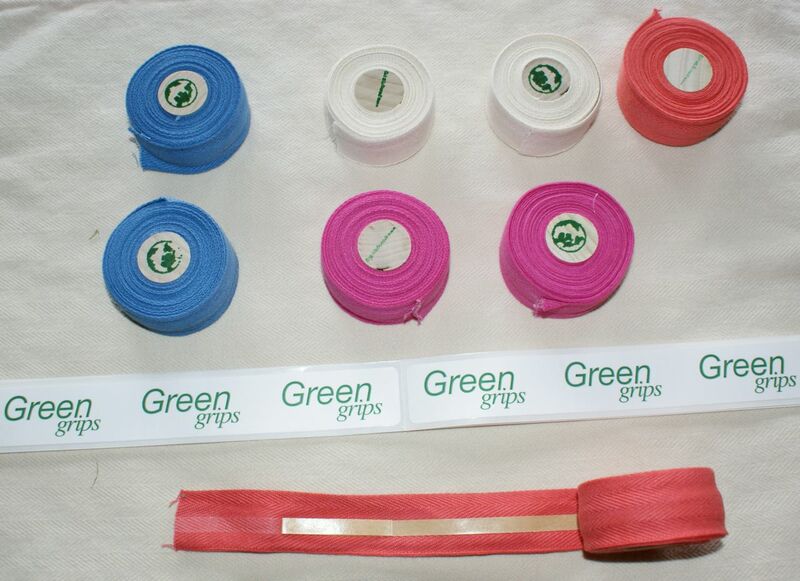 The only noticeable difference between the Green Grips tape and regular tape comes when moisture is brought into the picture. Many outdoor enthusiasts are familiar with this, as cotton absorbs and retains moisture. After driving through a downpour this past weekend to a race I was greeted with noticeably wet and cold grip tape. The amount of moisture in the tape was enough to slightly soak my gloves during a pre-ride lap and left me toweling off the tape to get rid of some moisture. During the race I slid out in one particularly muddy corner and wound up with mud packed into the tape on one side. Not a big deal for the rest of the race but cleaning it out afterward has been a challenge and the tape has been left looking a bit stained. So what are the pros and cons of this product? – Eco-friendly, biodegradable and colored with non-toxic dyes are all aspects we love to see. – 27 different colors so you can pimp your ride or sport school colors. – A single layer may feel a bit thin and may not provide the comfort level or shock absorption you want. – Material has a tendency to hold moisture – an issue for ‘cross racing in wet climates. 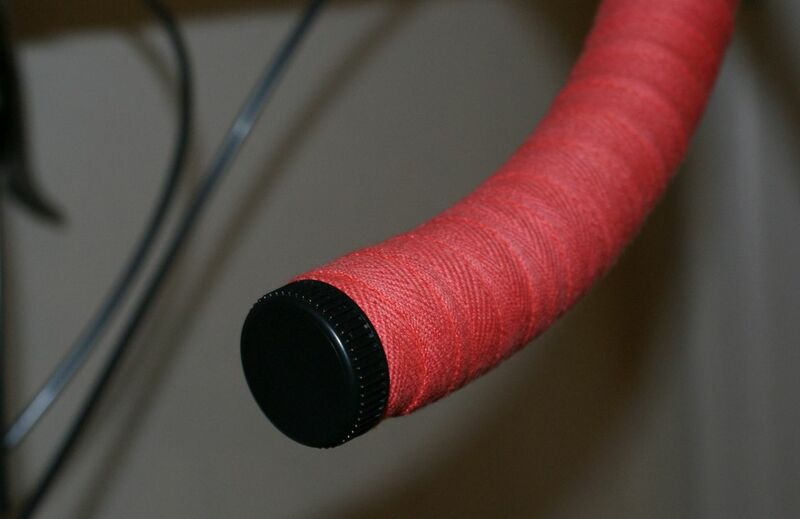 – Cotton holds dirt and stains, making the product harder to clean than other bar tape. 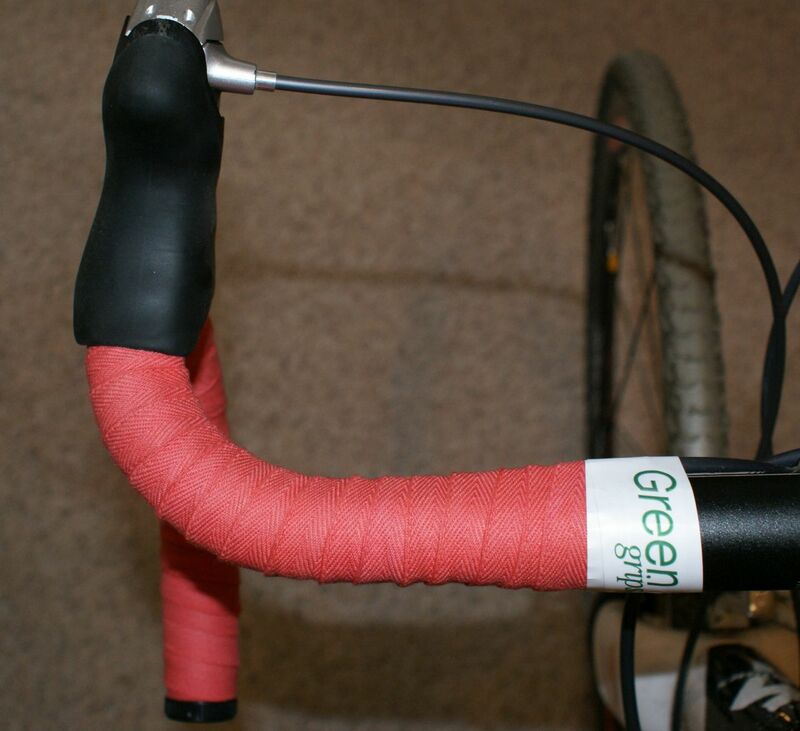 Green Grips is a great product for the rider who has issues with standard bar tape or wants something out of the ordinary. Road racers may like the feel and color schemes possible with Green Grips and the environment is definitely benefiting from the biodegradable factor and the non-toxic dyes. Unfortunately, the discerning ‘cross racer who encounters moisture or mud regularly is likely to skip Green Grips for cross racing due to its downsides. For those ‘crossers living in warmer/dryer climates, I would recommend checking this product out as you won’t be as adversely effected by the moisture/mud issues.